For the next few weeks, I will be discussing podium caps. Podium caps are also referred to as victory lane hats, hat dance caps, and race winner hats depending on where in the world they are used. 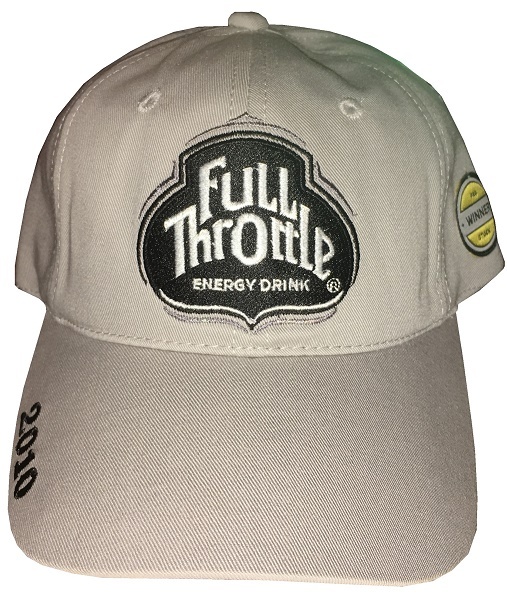 In NASCAR, the driver and their crew wear an event hat, followed by the hat dance, which gives every sponsor a picture of their logo on the hats of the winning drivers. In most other forms of auto racing, the top three drivers will wear hats on the podium. 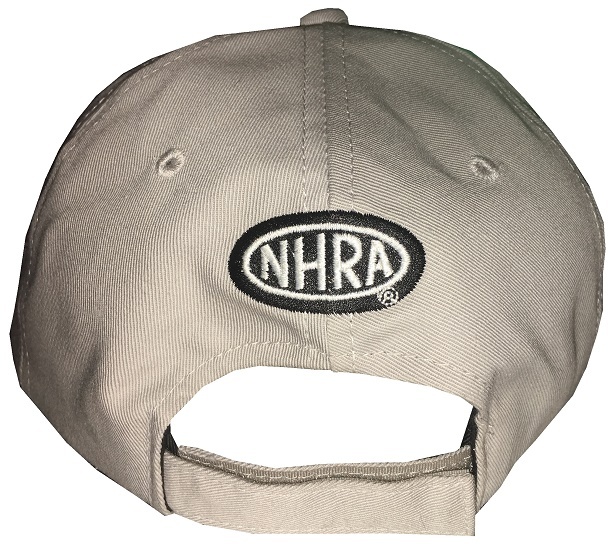 The NHRA has their own cap protocol. 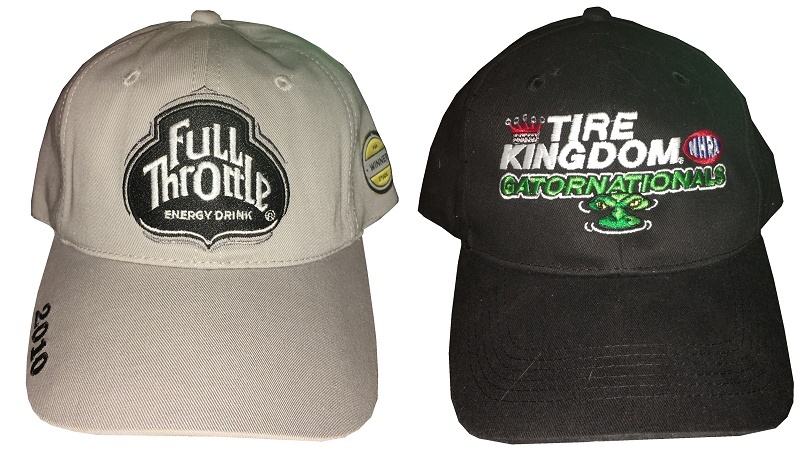 In 2019, In the NHRA, winner, champion and interview hats are all of the same design. 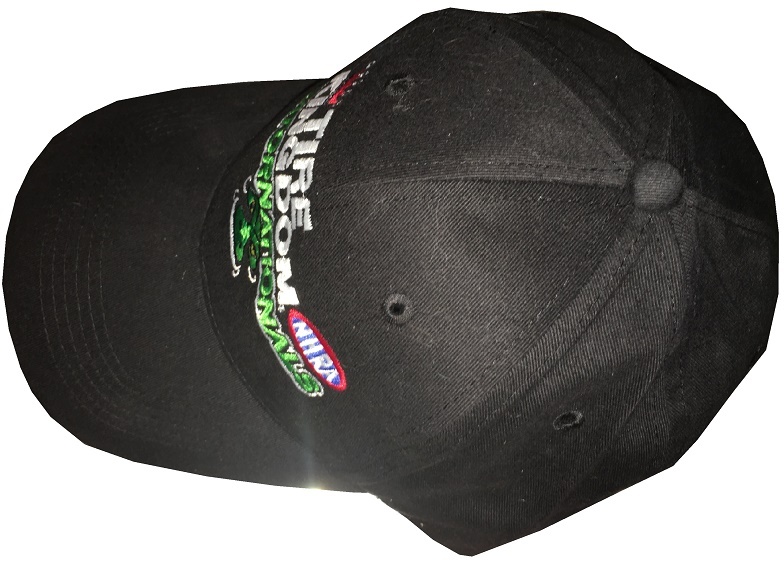 For the driver who qualifies #1, they are given a green hat, with a #1 Qualifier patch with their respective class. 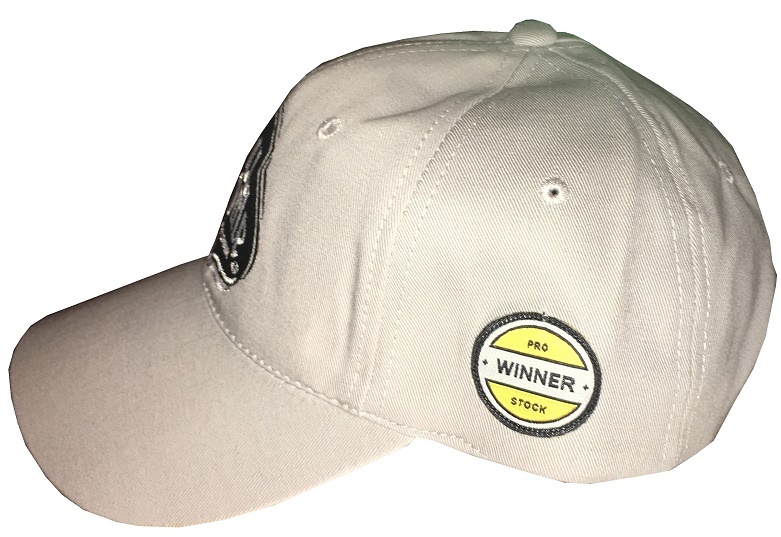 The drivers who win the event get a yellow cap, with a winner patch to wear, similar in design to the #1 qualifier hat. 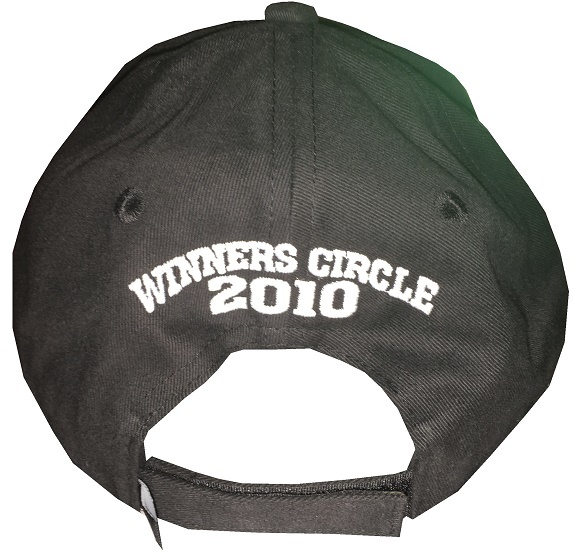 The cap color is yellow, on the patch, the word WINNER replaces #1. 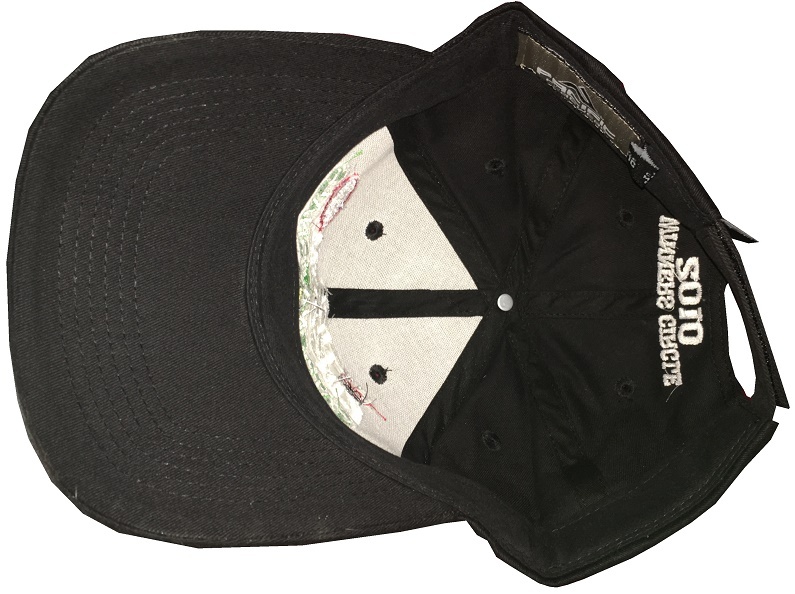 As with the qualifier hat, the race venue is embroidered into the back strap. Prior to Mello Yellow taking over as the titular sponsor in 2013, the NHRA’s top series was know as the NHRA Full Throttle Drag Racing Series. It was named after Full Throttle, an energy drink. Not long after switching sponsorships, Full Throttle was sold to Monster Energy. It was around this time that Jason Line began having success in the Pro Stock division. Jason Line was born in Wright, Minnesota. He began racing at age 16 in Brainerd. In addition to racing, he was also a crew member for Joe Gibbs Racing. He has 48 Pro Stock, two stock eliminator wins and three championships to his name. He currently races for KB Racing, alongside Bo Butner and Greg Anderson. In 2010, Jason Line had one win, the 2010 Tire Kingdom NHRA Gatornationals. He beat Mike Edwards in the finals. 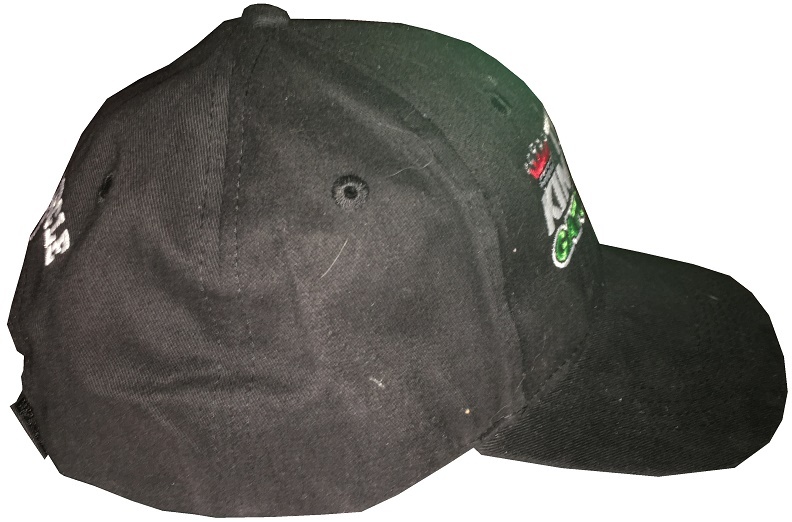 During the post-race celebration, one crew member wore this victory lane hat. The hat is in great condition, still containing the cardboard in the front. The left side of the cap has a yellow and black PRO STOCK WINNER patch embroidered. 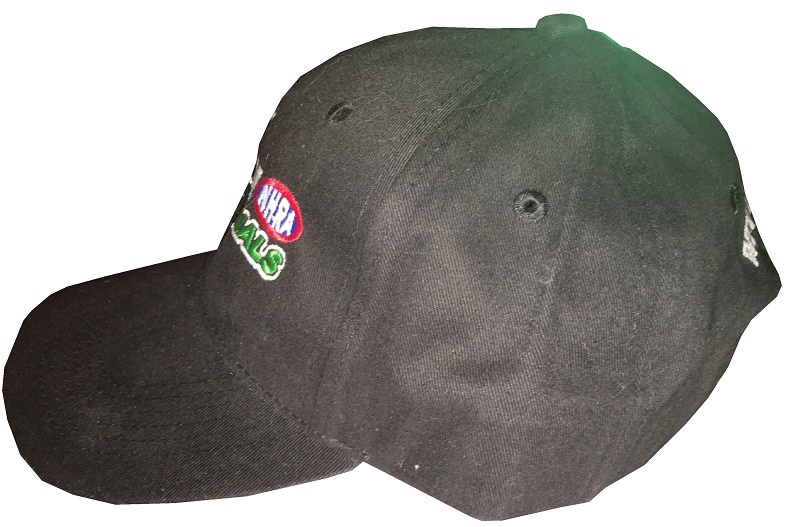 The back of the cap has an NHRA embroidered logo. Unlike more recent victory lane caps, the event location is not on the Velcro strap. 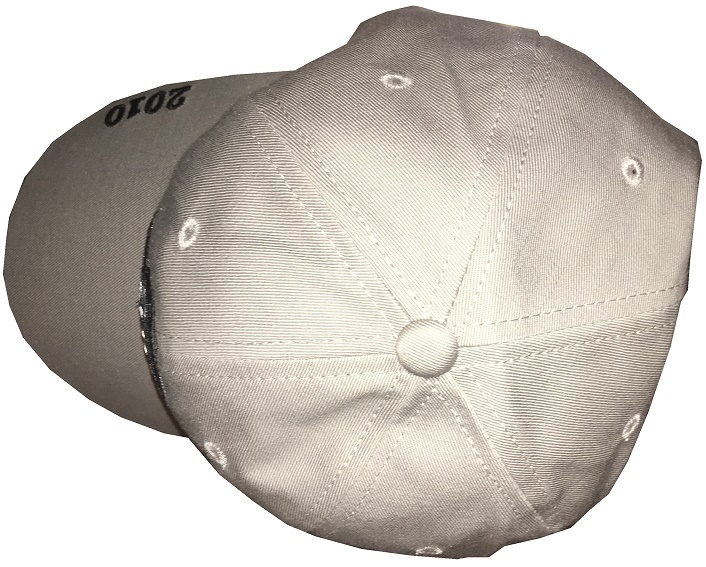 The right side of the cap has 2010 embroidered on the brim, but is otherwise unadorned. 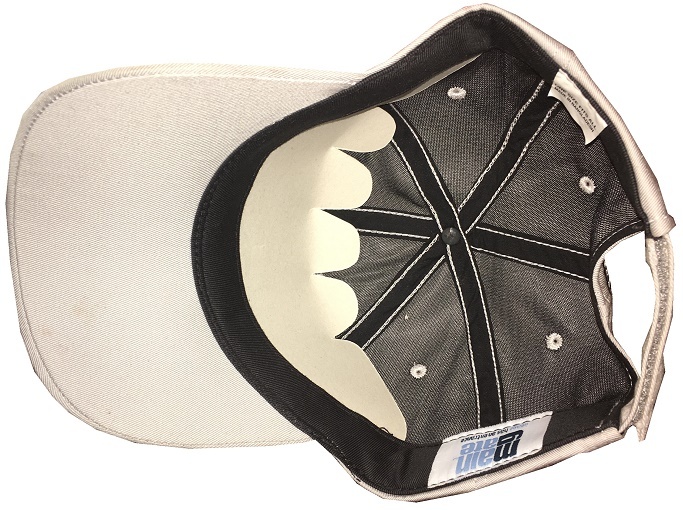 The top of the cap has a matching gray squatchee, and no other adornment. The inside of the hat doesn’t show use, and still has the cardboard still present in the front. 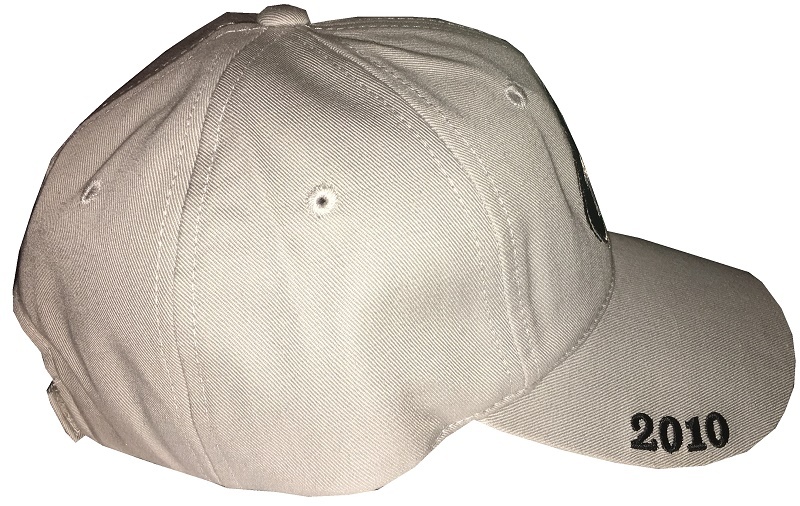 Another cap, this one a black event cap, accompanies the gray victory lane cap. The cap is branded as a victory lane cap, but all the research I’ve done hasn’t led to any proof that this was worn in victory lane. 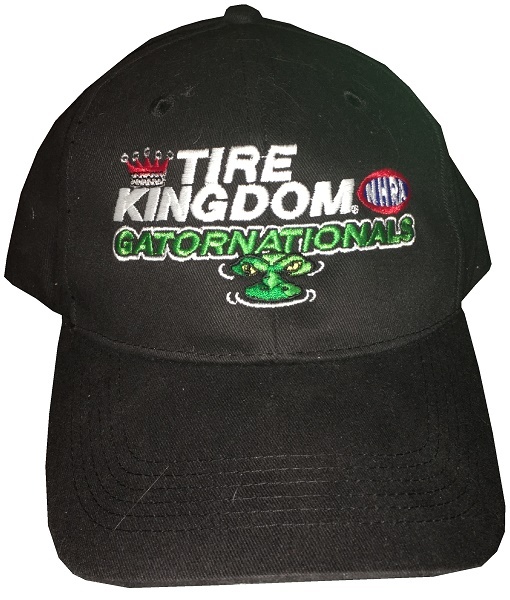 The cap is black, with a TIRE KINGDOM GATORNATIONALS logo on the front, and WINNER’S CIRCLE 2010 on the back. No NHRA or other logos are present. The cap is in great condition, not showing any use. For this week, I discussed the American version of a podium cap. Next week, an international podium cap.